One of the things that changes in WP 3.0 with multi-site is where file uploads and attachments get stored. This can be confusing to people trying to do export/imports and combine sites together. The effect of this code is to redirect requests that have “files” in the name to the ms-files.php. As you may have guessed, ms-files.php is the multi-site file handler. Files in multi-site mode are stored in the /wp-content/blogs.dir structure. Inside that directory, you will find subdirectories labeled with numbers (1, 2, 3, etc.). Each number corresponds to the ID number of the individual site in the multi-site installation. Each one of these directories holds all the uploaded files for that installation. The ms-files.php file handles a bunch of caching parameters and then sends the file off to the browser upon request. So the resulting URLs always look like http://example.com/files/2010/whatever.jpg and so forth. The “files” name is therefore special and reserved and cannot be used as a post slug and such. When you export a site from somewhere and then import it into your new multi-site system, if you also choose to import the attachments, then you’ll have a minor problem. The attachments will be imported into this new files structure. However, the links from an older system are still referring to the old /wp-content/uploads/ directory structure that non-multi-site installs use. Therefore, you will need to go back through your posts and fix all these links and references to the attachments. I use the Search Regex plugin for this purpose, it works well enough and has some powerful search and replace capabilities. Wouldn’t something along the lines of this work? Not with the [L] there, since that would stop processing. You could do it with an [R] to make it redirect, or just leave out the [*] entirely to allow the later rule to continue to modify things. I always wondered what those letters meant, heh. [R] would probably be best so the user ends up with the /files/ URL in their address bar. 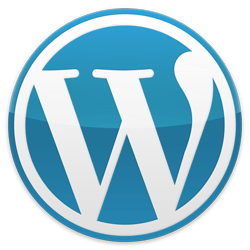 I am using a wordpress.org multisite. When I use attachments (specifically eg attachments plugin) with multisite broadcast plugin, I get this. Do you know how to fix this? I modified my website’s .htaccess file with your’s rows, but nothing changed. All of my pictures URLs still contains wp-content/uploads/sites/3/… tags. This method still works on WP 4.4.x versions?